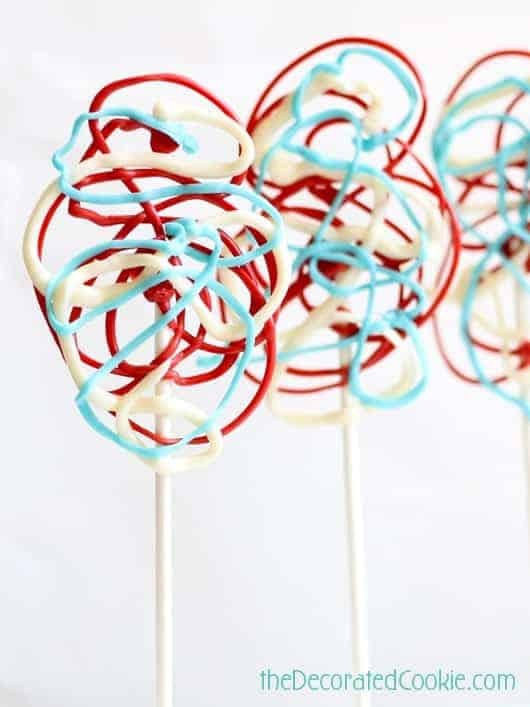 4th of July candy pops or chocolate pops for a red, white, and blue treat. 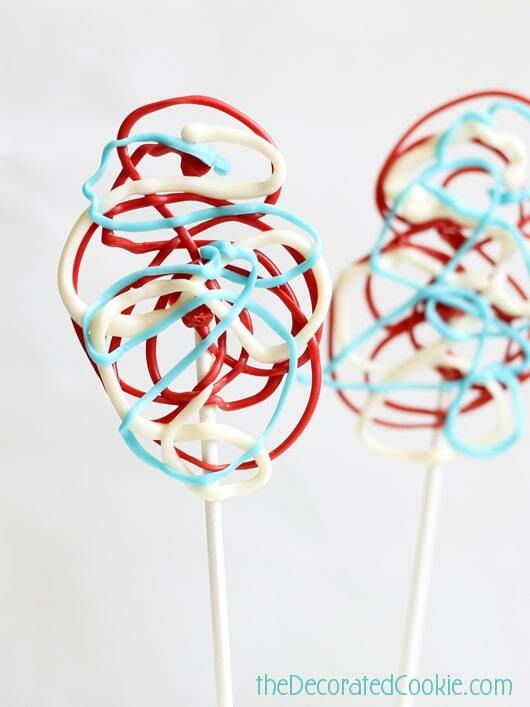 Crazy 4th of July candy or chocolate pops for a red, white, and blue treat. 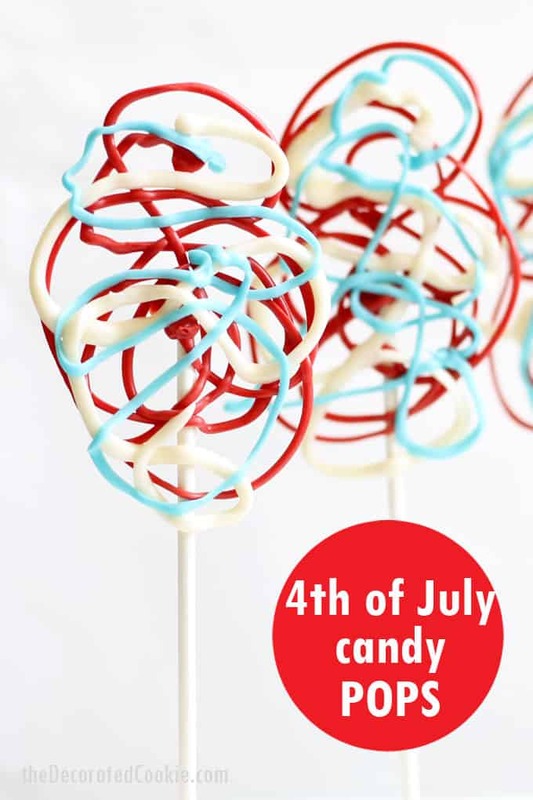 Here, I take the same concept as the crazy chocolate lollipops from my book, but I dress them up in red, white and blue to make 4th of July candy pops. 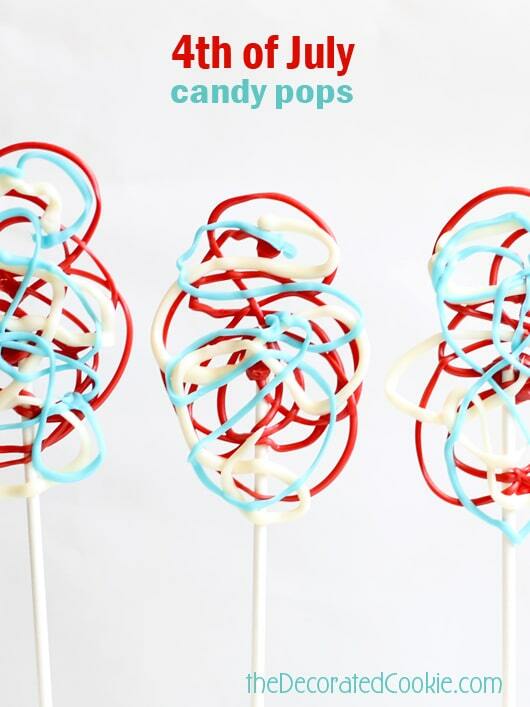 The beauty of these candy pops is that you can be as messy and imperfect as you like. Oh, and that they take minutes to make. I just love this color combination (thanks, America). 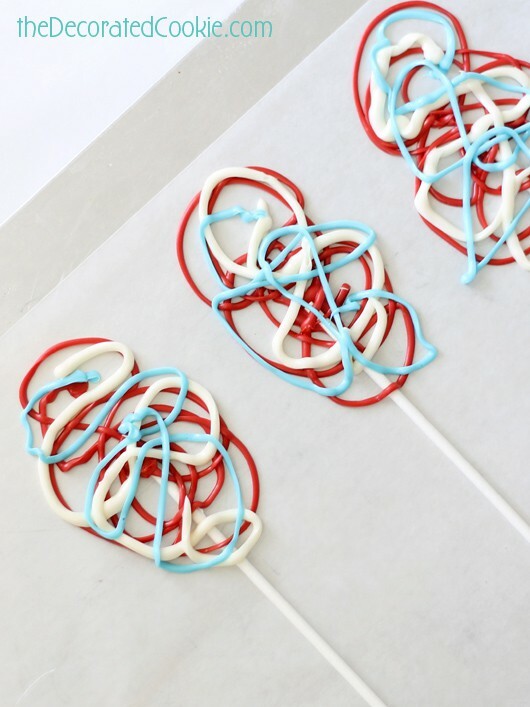 And because precision isn’t necessary, the likes of kids and me (as in, those that lack precision) can create edible masterpieces when piping 4th of July candy pops. 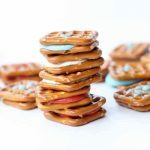 So if you have no dessert ready for the 4th, there is no excuse I can even consider why you wouldn’t make these. I even have links to supplies at the end. Now go forth and be crazy. 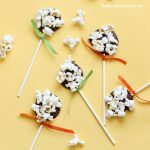 4th of July candy pop crazy. 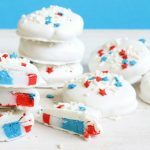 If you need more easy 4th of July dessert ideas, try this American flag s’mores dip or these red, white, and blue marshmallow pops. 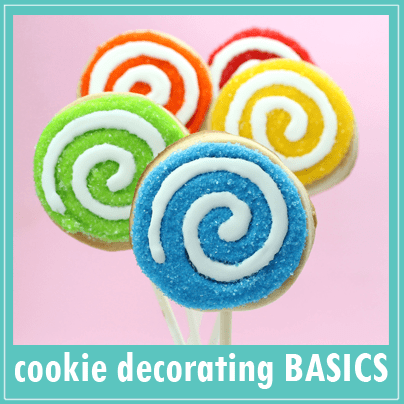 *Find the candy melts, lollipop sticks and decorating bags in the craft store. 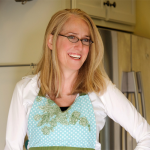 Line a couple of baking trays with wax or parchment paper. Have lollipop sticks ready. 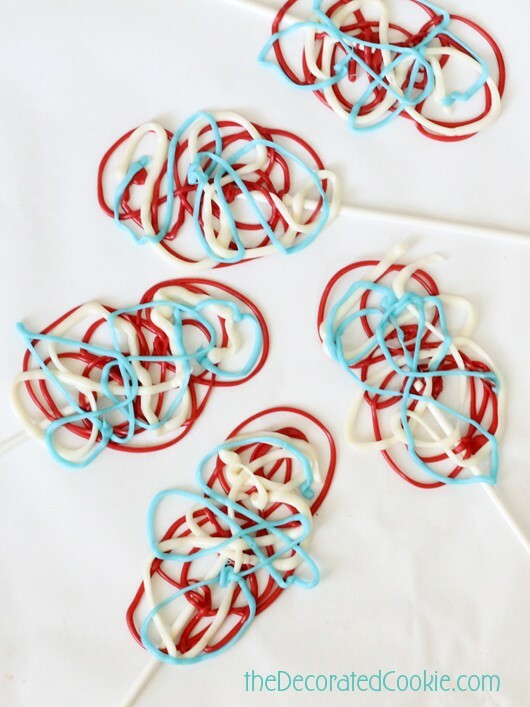 Fill 3 separate disposable decorating bags with about 1/2 cup each of red, white and blue candy melts. 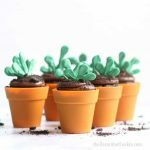 (Alternatively, you can melt these in microwave-safe bowls and pour into the bags.) 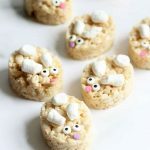 Melt at 70 percent power for 90 seconds in the microwave. Continue microwaving at 30, then 15 second intervals until fully melted. 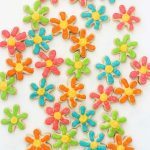 Only work with one bag of candy melts at a time, as they harden quickly. Snip 1/4 inch from the tip of a bag. Twist the top of the bag and hold at the twist. 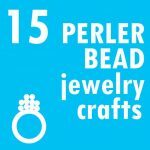 Pipe a dot with your first color on the baking tray. 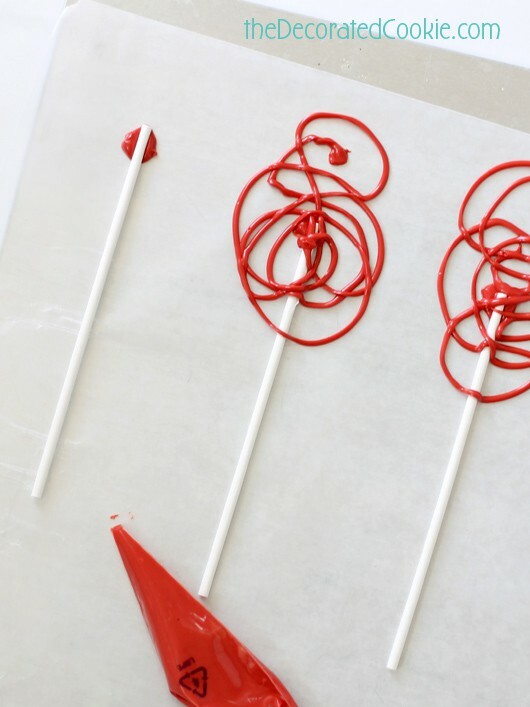 Place a lollipop stick on top to secure. Pipe a crazy pattern and repeat until all of your first color is gone. 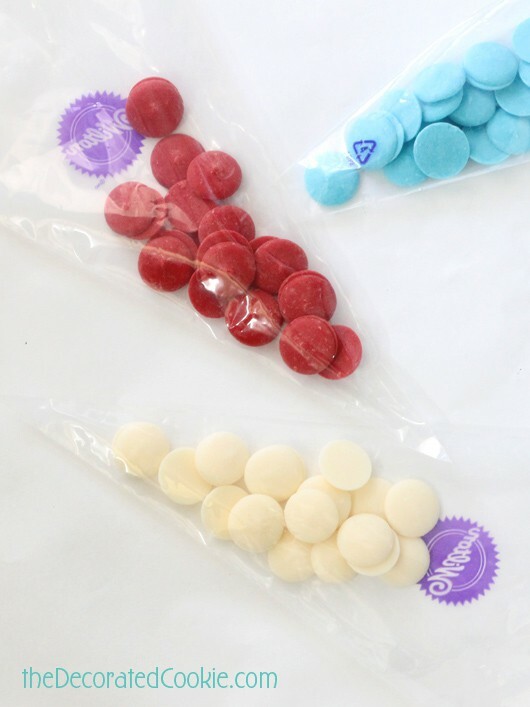 Repeat with the other two colors of candy melts. Let the pops rest until hardened, at least 30 minutes. 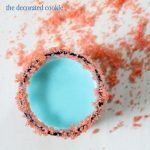 Serve or store in a covered container at room temperature or in the fridge. Makes about 10 pops. 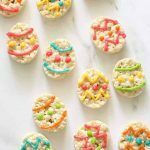 So fun and so easy!